Cath, who passed me the AW chain baton, mentioned how it was during her first vacation without her family that she took to writing seriously. Evidently, she was in England with a group of friends when the incurable writing malady infected her. And alongside writing and frolicking with friends, Cath’s post also talks about her watching county cricket. Aha! Cricket. One of those words that make me smile naturally. For, the game of cricket is one of the biggest loves of my life. As I write this post on the eve of India‘s Independence Day, I can proudly say being passionate about cricket adds as much to my Indianness as the food I eat and the language I speak do. So when my brother recently handed me this hefty tome as a belated birthday gift, I was elated beyond measure. Steve Waugh, the former Australian cricket captain, had remained my favourite for most of his cricketing career. Not just because of his skill with the game, but for his indomitable mental toughness and his commitment to social causes, which includes his work with an institute in India that is a haven for children of leprosy patients. I would always be stunned by his ability to singlehandedly rescue his team from near-losses. His record as captain is no less spectacular. Under his leadership, the Australian team became an impenetrable wall of attack, which no team in the world could match in terms of either flair or tactics. That’s about what I’ve managed to read of the book thus far. 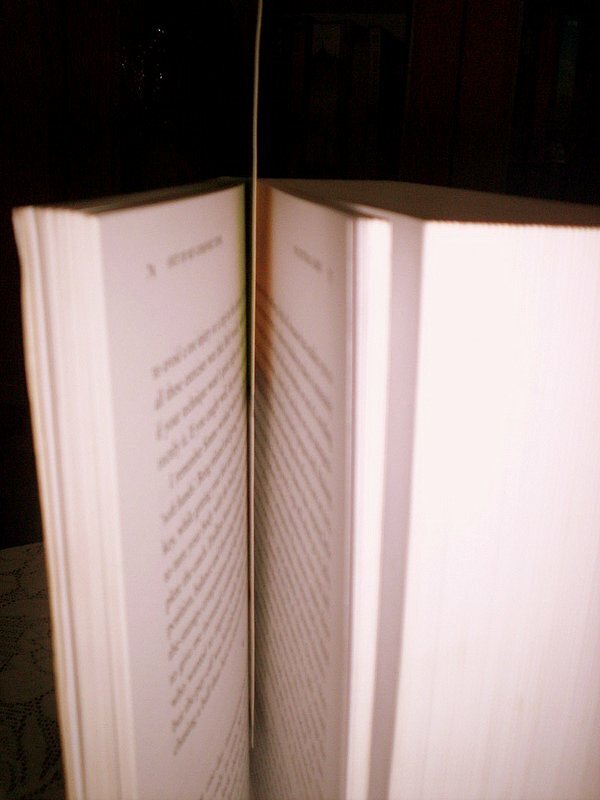 Admittedly, I am a slow reader and bulky books always intimidate me. 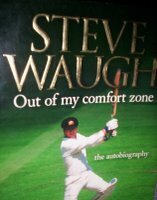 But Waugh does a great job telling his life story—he maintains a conversational tone, is admirably honest, and gives a fascinating glimpse into facets of his personality that remained masked by cricket. For who could ever tell, this gritty player, who even came across as a cold and calculated strategist while leading his side, detested being in the spotlight? Or that he wrote long, wistful letters to his teenage love (and later his wife), while on his first tour outside home in England? Steve Waugh is also candid about the uneasy and somewhat strained relationship with his twin Mark, who himself was part of the same squad his brother captained, and has an illustrious track record to his credit. What sports do you like? Does its history draw you? Or the life stories of its legends? A sport teaches us so much, even if we don’t play it. And now, may I pass the baton to Matt at Mad Scientist Matt’s Lair. You’ve been in my thoughts the past few days – I’m happy to hear the flood waters are receding.Great post, as always. 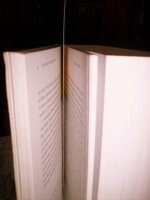 Oh and for me, even a Grisham novel is a bit much to take on, so you’re doing great with that massively thick book! Being american you understand that my knowledge of cricket is slim to none except for the abstract? But I do know what the “bat” looks like lol. I can tell how passionate you are about cricket, I remember when you excitedly shared the results of matches with me 😛 Here in Peru the king sport is soccer and basically everything else is left aside. Me, I’m not a big soccer fan (something most Peruvians find outrageous, lol). I actually prefer basketball and hockey. The problem is am never sure of the rules and I can’t seem to enjoy the pro games to the fullest.What I do LOVE is WWE wrestling :)) Though you might argue it’s a sport, lol. 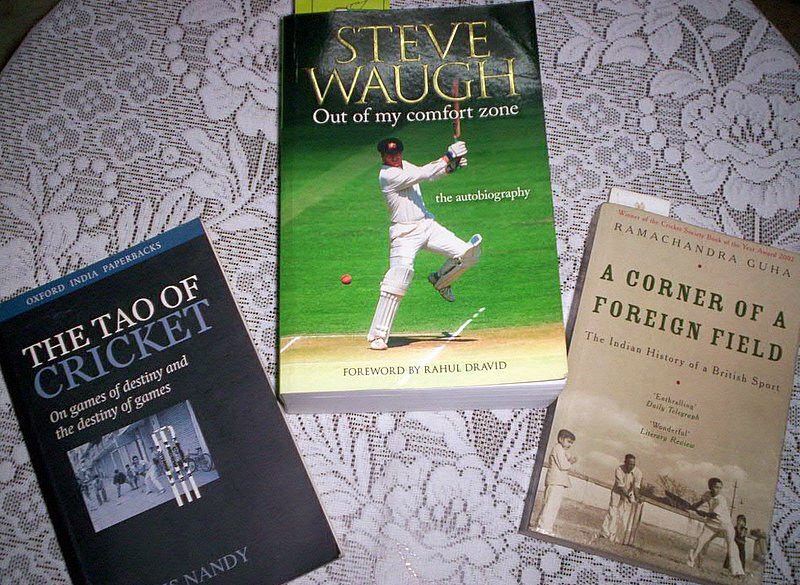 Glad to hear you’re ok.I am going to look out that Tao of Cricket book – it sounds right up my alley. 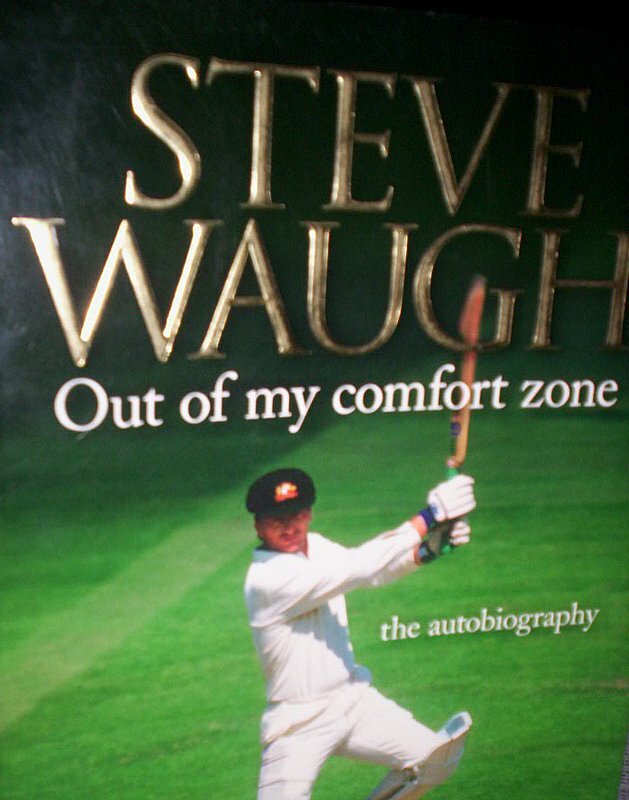 And, if you liked Steve Waugh’s autobiography – have you ever read Mike Atherton’s? Very different personality, but very interesting book. I really miss my cricket. Thanks for putting a smile on my face. Interesting that you should mention leprosy patients – I’d recently read a short biography of Dr. Paul Brand, who made several breakthroughs treating leprosy in India. It’s good to hear of a famous athlete being involved in that cause. The next World cup will be so close to where I live 🙂 I must plan to see it!! While at it, you may as well add CLR James’ “Beyond a Boundary” to your reading list. For me, it’s badminton and soccer all the way, but my hub is a cricket nut, so I do watch all the games when he’s in town – I can’t seem to escape them – he always has the TV on nice and loud! 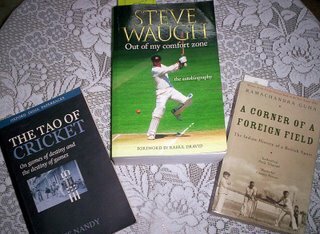 🙂 I like the sound of those cricket books you write about,Bhaswati,they’d make a nice gift for any cricket-loving friend. I will have to make a note of the titles. I have tried to figure out cricket a couple times, and each time my head just starts hurting. It’s worse than bridge. Ha! Maybe I’ll give it another go. Glad to hear you are doing well!I’m afraid I have no knowledge at all of cricket, but your enthusiasm is great!Popping in to say hello – been so busy promoting the book I haven’t had a chance to visit my blog buddies lately. Hope you have a great day! Laurie, I feel ecstatic to see another Lagaan enthusiast here. It’s not for no reason that it is considered one of the all-time great Hindi films. As I type, I am just waiting for the start of an India-Sri Lanka match. How much more exciting can it get!